Hello! 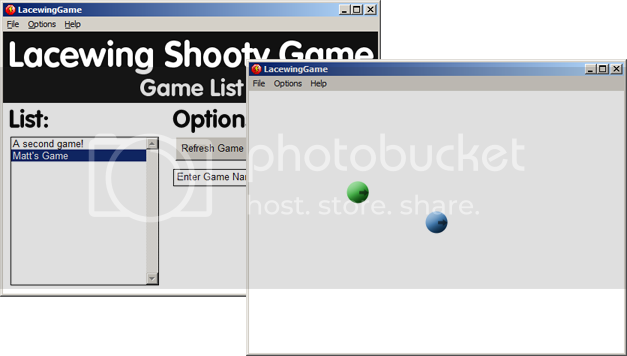 Lacewing is a networking extension that allows you to create multiplayer games and online applications with MMF2. Imagine if there was an easy way to learn it. Well there is! The following three tutorial videos take you from the complete basics up through movement techniques and managing game logic with channel hosts. Fun! 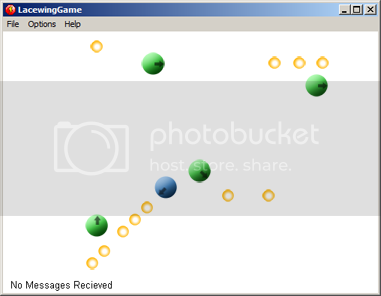 Description: This first tutorial takes you slowly through building a multi-frame chat application. In less than 10 events and 15 minutes, you'll be done! It's pretty easy. Description: The second tutorial takes you on the adventure that is creating a multiplayer movement. By working on the "Lacewing Shooty Game" we learn how to create classic game lists, differences between sending and blasting messages, and we create a functional online movement. Links: Download this template .mfa to follow along! Description: This third and final tutorial takes us back once more to the "Lacewing Shooty Game" where we dive back into the guts of the movement and replace all our delimited strings with stacks, in order to optimise the messages we send. We then finally add the shooting part by appointing a peer as a channel host. Enjoy! All source files are available, use for whatever you like. Do tell me what you think! Cranktrain - Currently finishing a new game called The Cat Machine! better, passing on the channel masters, no leave the channel ! one bug on the Game List frame! Channel hosting is a built in part of Lacewing. That cannot be done without make your own server. Channel Master leave = make a new user to Channel master, no close the channel! I told you, that is not possible without scripting your own server. You can choose to make the channel stay open if the channel master leaves, but you cannot assign a new channel master. Once the channel master leaves, that's that. ok i understand, on mooclick have one user switch master example make! Yes, make it able to change the channel master at runtime?